When you are looking to install doors in your business or home, we at King Locksmiths provides excellent door installation service to all businesses and residents of Maryland and Washington DC. We offer many types of durable and elegant doors for commercial facilities and houses. And our staff and technicians are always ready to answer the needs of the individuals who want to install the best doors and security systems in their houses. A wide variety of commercial doors and residential doors are available in our company. And these doors are very durable and affordable enough to satisfy the needs of those individuals who want to leave their houses and business establishments well secured and protected from strangers. Our door installation service here at King Locksmiths is our #1 specialty and we take great care to insure that the door we install will provide the ultimate in security and ease of use for all our clients. Being a Maryland and DC Locksmith, we have the skills and expertise to make sure we install doors with the highest security considerations. All of the procedures that are included in this specialized service of our company will be executed by our experienced door install specialists who possess the specific skills, training and knowledge to apply in the process of installing a new door in a house or business. The first step of this service is the process of inspecting the areas where our commercial or residential doors will be installed. If the inspection procedure for the areas where our commercial or residential doors will be installed is already done. 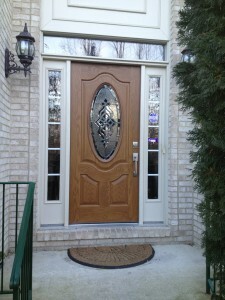 Our door installation specialists will begin the process of installing the new doors. Our clients can always expect that our door installation service will never fail to live up to the quality that we promised to them. Our door installation specialists at King Locksmiths have more than five years of experience in the field of door replacement, door repair and door installation. We also can install door hardware to match your needs. We come prepared with the necessary equipment for door installation. Our specialists will first remove the former doors to start the actual door installation service. After removing the old doors of our clients, our professional technicians will install the new commercial or residential doors selected by the client. The installation service will be executed with the safety and security of the property at the top of our list. Our door installation service is open for all businesses and residents in Maryland, Washington DC and all surrounding areas. Why Choose to Install Doors with Us? Call us today to Install Doors for your business or home! 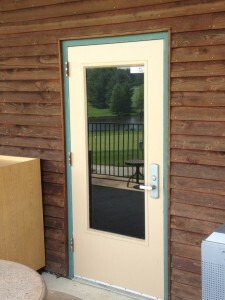 We have been performing door installation, repair and replacement for the Maryland and DC area for many years. See our gallery of recent door installation, repair and replacement jobs here. We Install Doors Professionally https://kinglocksmiths.com/install-doors-maryland/ 5.0/5 based upon 1 reviews.